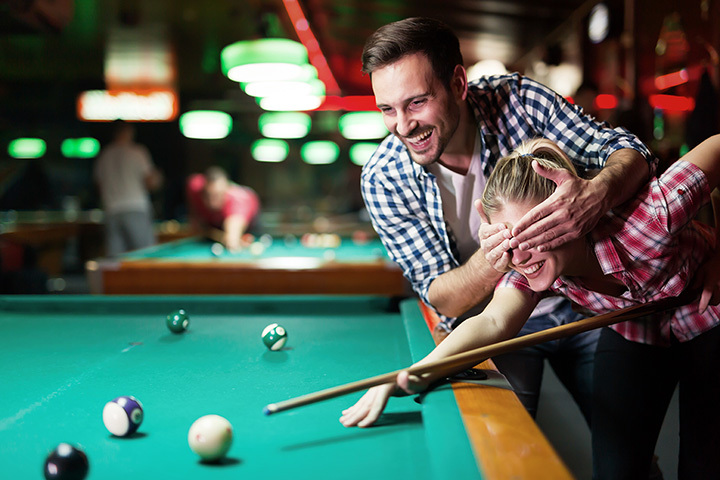 Ensure that your first date with your new love interest is an event to remember by planning a fun outing. Not only about dinner and a movie anymore, plan your date in one of Rhode Island’s beautiful towns, combing romantic scenery with great food, drinks, and activities. Here are the best first date locations in the state. If strolling hand in hand while watching the sunset over the Atlantic Ocean in Narragansett isn’t romantic, we don’t know what is. After working up an appetite during your walk—head to Crazy Burger for scrumptious, unforgettable food. Forget trying to impress by ordering a salad here— instead, dine on delectable burgers, flavorful milkshakes, and incredible desserts. East Greenwich is a beautiful small town with Main Street lined with colorful buildings boasting a wide array of cool restaurants and bars. After window shopping and taking in the sweet views, stop by Silver Spoon Bakery with your date to savor something sweet. Pop a mini bottle of champagne in honor of your first date, which is a surprisingly perfect beverage to enjoy while biting into their amazing cupcakes or delicate macarons. One of the most highly rated restaurants in all of Rhode Island, Al Forno serves fire grilled pizzas and numerous other authentic Italian dishes. The pizzas at Al Forno can’t be missed, and feature crowd favorites such as margarita, pepperoni, and Tuscan kale pesto. If you’re inspired by “Lady and the Tramp,” opt for a meal off their flavorful pasta menu. Rhode Island certainly does one thing exactly perfect for date nights: sunsets along stunning beaches. This beautiful beach and conservation area located in Watch Hill is a haven for those looking for a long walk, a spot of birdwatching, or a romantic venue for a first date. Around Napatree Point you’ll find numerous restaurants, making this area a great option for a sunset and a late meal. Have you visited Fort Mansfield, way out at the end of Napatree Point? This cozy-cute restaurant acts as a sanctuary, providing a calming environment for all diners. The Duck and Bunny is a great option for couples, as it offers brunch from Tuesdays to Sundays (they are closed on Mondays), high tea, sweets, and drinks. So, no matter the time of day you and your date visit, the Duck and Bunny will provide you with a flavorful experience. If you know you’ll be headed out for a first date with an avid reader, impress him or her with a first date at the lovely Savoy Bookshop. Located in the up-and-coming downtown Westerly, the Savoy Bookshop and Café has a beautiful interior with ample space to browse books. You can also enjoy a getting to know you chat over coffee or tea at their in-house café. For 20 years, Bouchard has maintained its rank as one of the top fine dining establishments in Newport. On the menu at Bouchard, guests will find entrees such as poached salmon, beef filet with red wine sauce, and lamb chops. Save room for desserts as the selection is delectable; on the menu are mousse au chocolat, crème brulee, crepe au chocolat, and more. Weather permitting, another outdoor first date option is the stunning Cliff Walk in Newport. The Cliff Walk is 3.5 miles-long, giving ample time for getting to know one another. With opportunities to spot ocean life and marvel at New England’s beautiful rocky shores, the Cliff Walk is an exciting place to visit no matter how many times you’ve been there before. Have a taste of Sydney, Australia, with your date without having to travel internationally. Mingle over a flat white or matcha latte. For something a bit more substantial than coffee, Sydney also serves up a mean breakfast with trendy favorites like avocado toast and breakfast sandwiches. Open for lunch too, Sydney is a great option for a casual date over a lunch break. If you and your date would prefer to spend an evening in whispered conversations over beers and tasty food, then Malted Barley is the spot for you. Featuring an ever-changing selection of local beers on tap, the Malted Barley is perfect for a date with a beer aficionado. On the menu, they feature homemade pretzels in a variety of flavors, salads, and pretzel sandwiches.